On her twelfth birthday Cecilia goes out with her parents and sister to celebrate with a visit to a museum. On their way Cecilia drops the marble that her sister gave her as a present, and running to pick it up she is taken away on an empty underground train into a dark and deep tunnel. 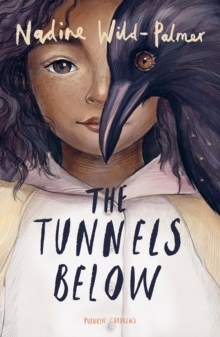 The fun family outing becomes a much more serious mission when Cecilia finds that she and her marble have a very important role to play in freeing the inhabitants of the tunnels from the tyrannical rule of the Corvus. A truly inventive, clever and magical story about the power of friendship and the importance of self-belief by debut novelist Nadine Wild-Palmer.